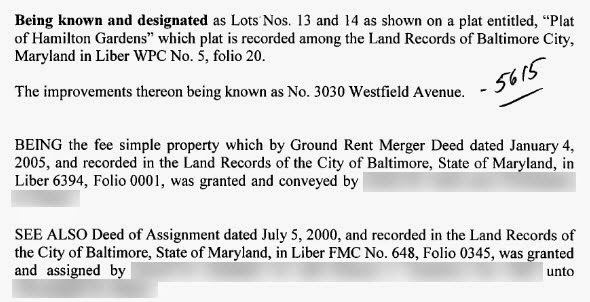 It can also be useful to search on the block number in Baltimore City. That’s the “5615” written into the deed. That search gives all the transactions for that block. Thanks Mike! I know about the wonderfulness of Block books now, but I didn’t when I wrote this. It would have made this research a bit easier for sure had I known then.